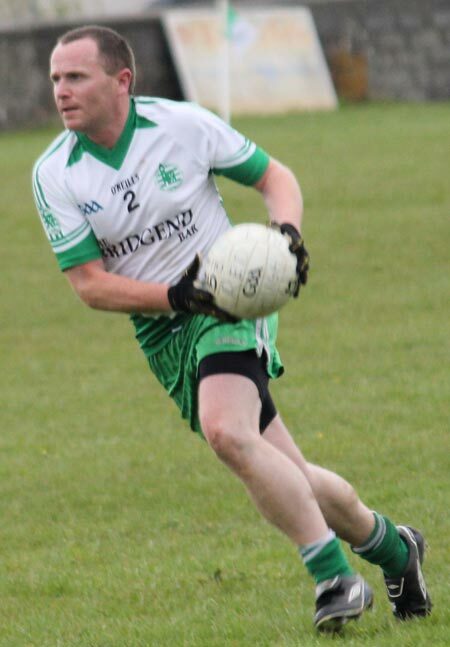 The quality of David Dolan and guile of Kerry Ryan proved the difference between Aodh Ruadh and Red Hugh's on a chill Saturday evening in Father Tierney Park. Dolan's haul of four points belay a wide-ranging and stylish contribution, as did Kerry Ryan's three points, all from play. 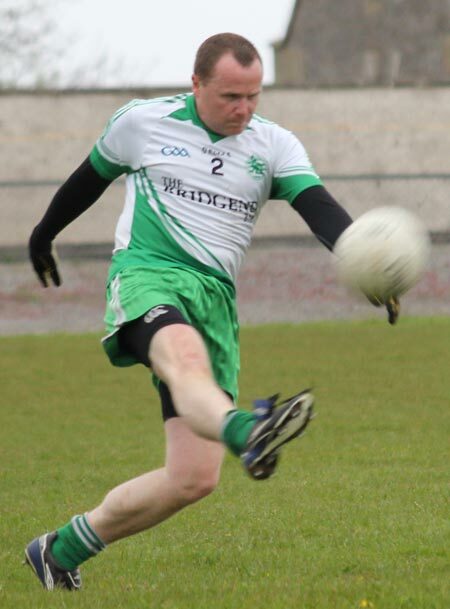 The game was just seconds old when minor star David McGurrin opened the homester's account with a routine free. 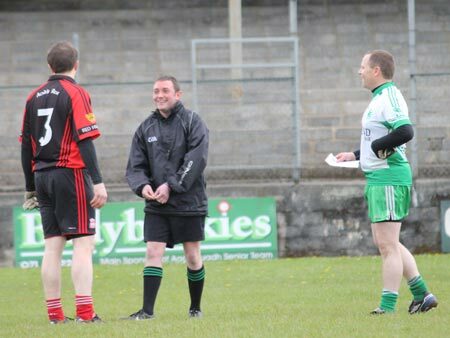 A couple of minutes later and the Killygordon men had their opening score when they showed patience recycling the ball. Eugene Bonner finally punched a hole in the defensive cover and fired over. Red Hugh's edged into the lead on five minutes when Martin Bonner connected beautifully to send over a fine effort from distance. 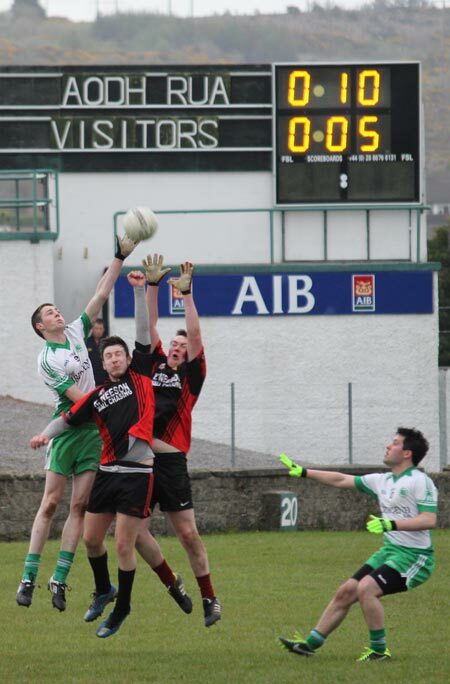 Two minutes later the first goal chance of the game fell to Aodh Ruadh. A Stephen Ward shot came back off the post and found its way into the hands of the Michael 'Sticky' Ward, but his snap shot flew over, rather than under the bar. 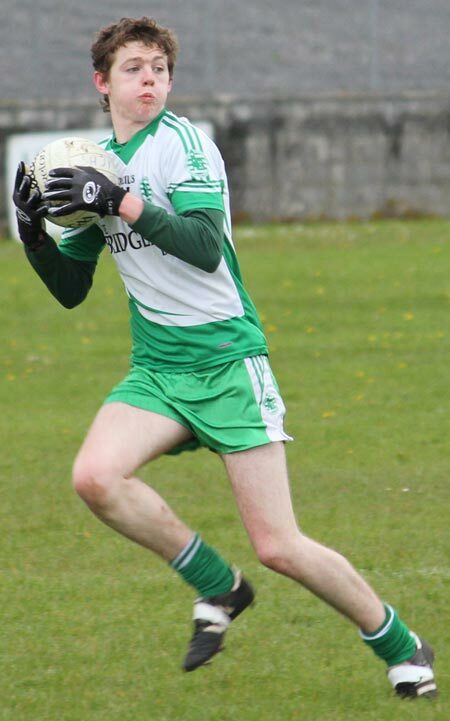 David Dolan restored Aodh Ruadh's advantage with a towering shot on nine minutes, and the homesters were able to win the kick out and feed the ball to Kerry Ryan who clipped over from short range to make the scores 0-4 to 0-2. 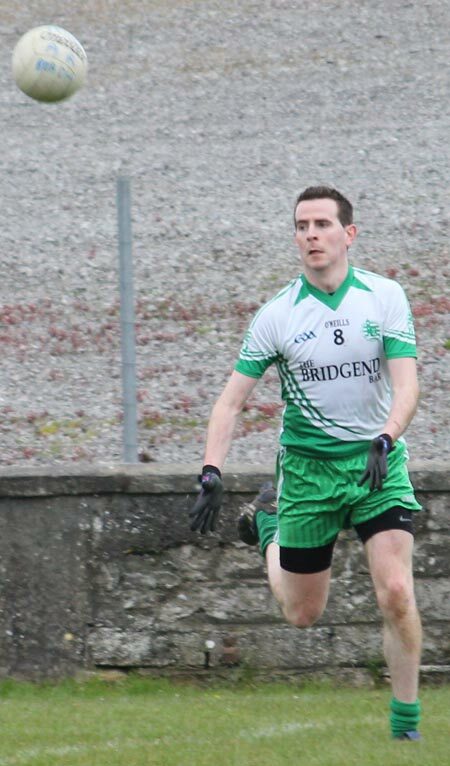 Stephen Ward went off with a quad injury as the game moved into the second quarter and that upset Ballyshannon's rhythm for a period with a series of five wides only mitigated by a Kerry Ryan point with eight minutes left in the half. Damian Browne was the best of the Red Hugh's attackers on show, but he only got off the mark on 25 minutes, and then only just about. His high lofted shot, flirted with either side of the right post, but the point was given by the umpire. 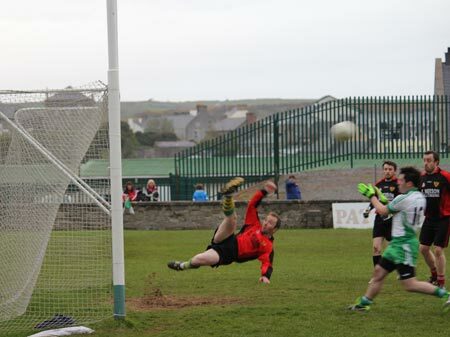 The closing moments of the half were action-packed, starting with Niall McCready gamboling through the wide open expanses of the Red Hugh's defence into their penalty area before feeding off to Kerry Ryan who showed lightening hands to pass on to Sticky Ward. 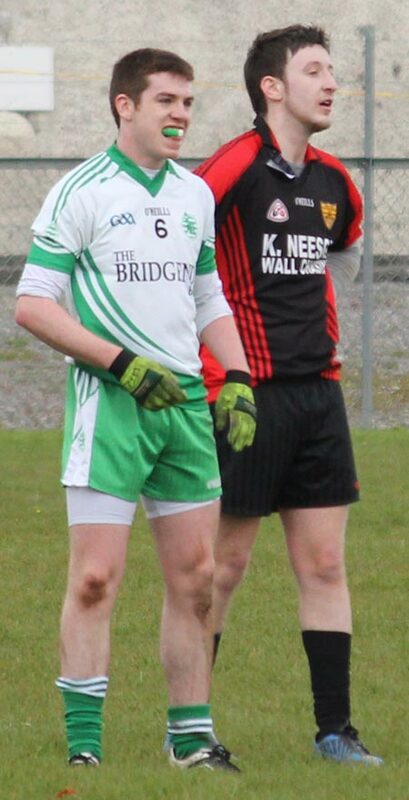 Ward got his shot off sharply, but Luke Kelly was a relieved man as he watched the ball whistle just to the left of his upright and wide. The next two goals chances fell to the visitors. 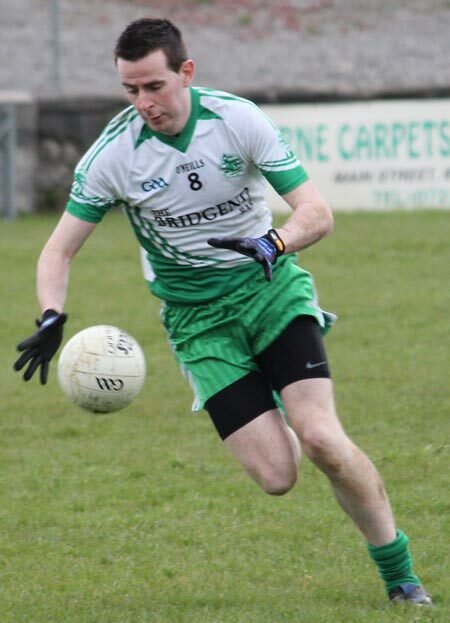 As the half entered added time Colm Melaugh got the ball with the goals at his mercy, but Anthony Boyle and Peter Boyle combined to shut out his effort for a 45. A few moment later and it was Thomas McMenamin with goal on his mind, but Peter Boyle again got down well to smother his shot. 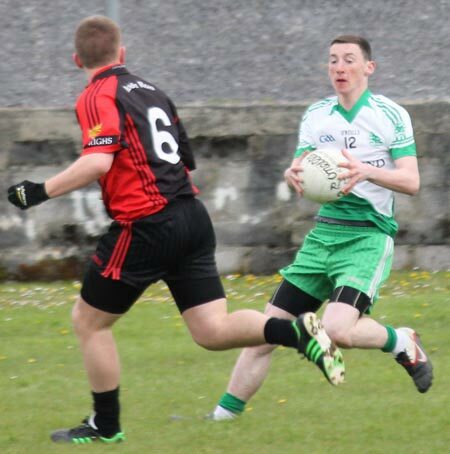 The last play of the half saw a scoreable free harshly awarded against Aodh Ruadh, which was duly dispatched by Damian Browne to send the visitors in trailing by the minimum, 0-5 to 0-4. Browne chalked another free a minute after the break to level matters before Martin Bonner thumped over another massive point from distance to put Red Hugh's back into the lead for the first time since the seventh minute. David Dolan fisted over a minute later, but Kevin Melaugh responded in the fourth minute, converting a routine opportunity. Once again David Dolan clawed back the deficit, this time pointing a free on the 36th minute leveling matters at seven points apiece. 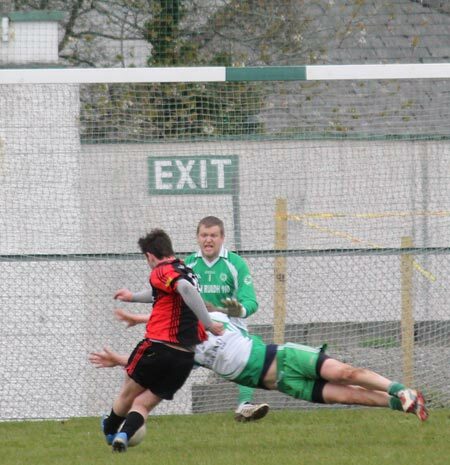 A David McGurrin free five minutes later took Aodh Ruadh back into the lead. 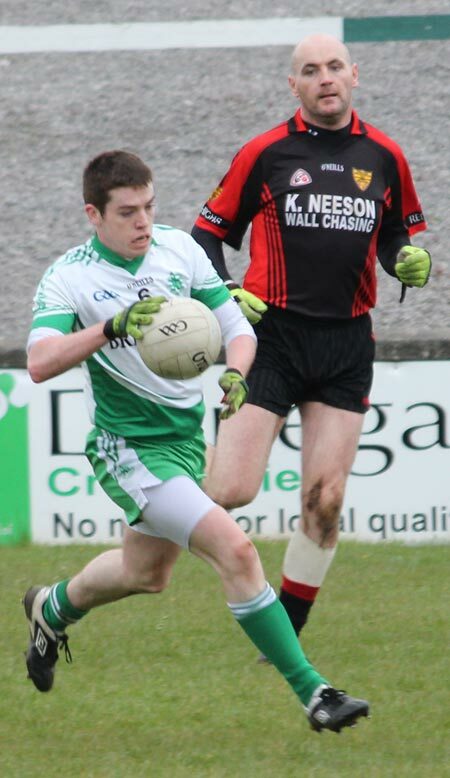 Dolan promptly won the kick out and got the ball back to McGurrin who fisted over to put two points between the sides for the first time in the game. 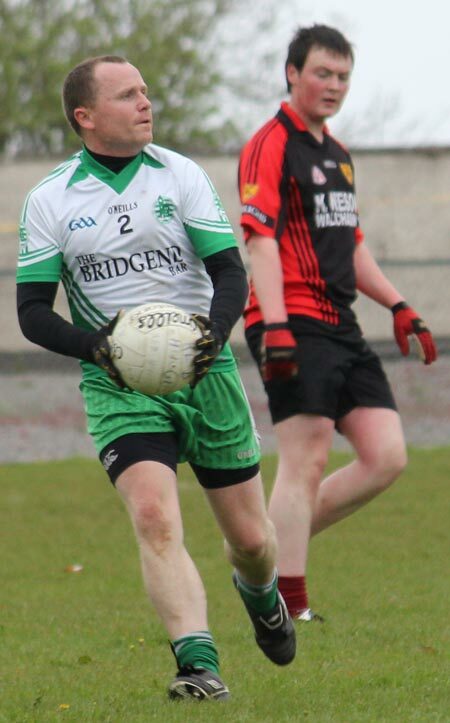 Anthony Boyle, an industrious presence throughout, worked well to set up Kerry Ryan to point from close range as the game moved into the final quarter. 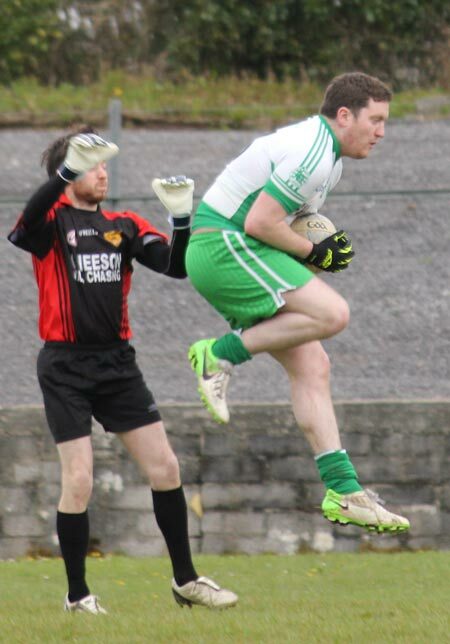 Aodh Ruadh moving into the three point lead spurred on Red Hugh's and Peter Boyle was called upon to deny a PJ Gallagher goal chance, putting it out for a 45 which was well converted by Karol Gallen. Damian Browne then pointed a free with ten minutes left to put the scores to 0-10 to 0-9 and leave the closing stages evenly poised. It was the Ernesiders who were to finish the stronger. 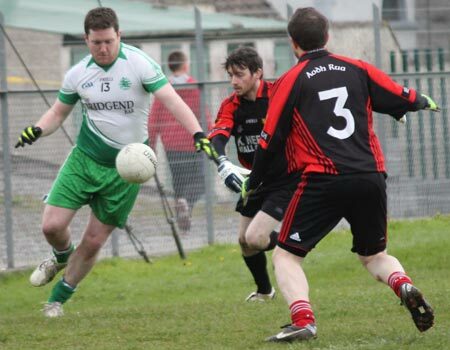 David Dolan sent over a sumptuous free with seven minutes to go, and while Martin Bonner responded with an equally well executed score, the last two points fell to Aodh Ruadh in the dying moments of the game. 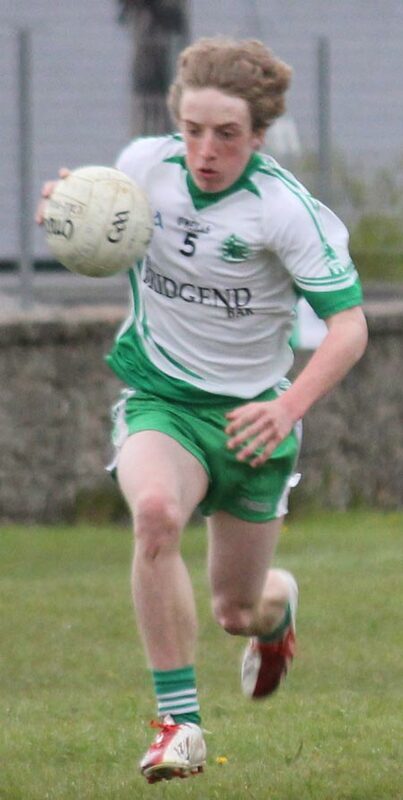 First James O'Donnell, who got through serious shift over the 60 minutes, hoisted over a huge point, and then substitute Diarmaid McInerney shot over a precision point which swung just inside the post at the last instant to seal the win. 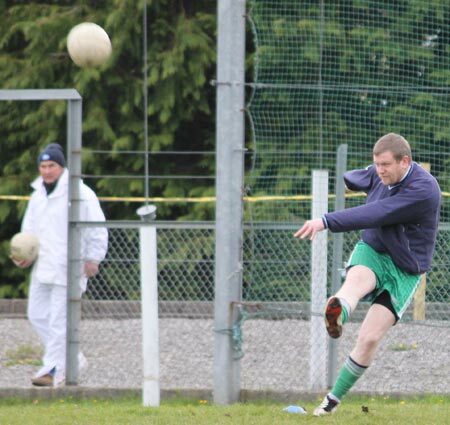 Best for Ballyshannon was David Dolan who was a cut above on the day. 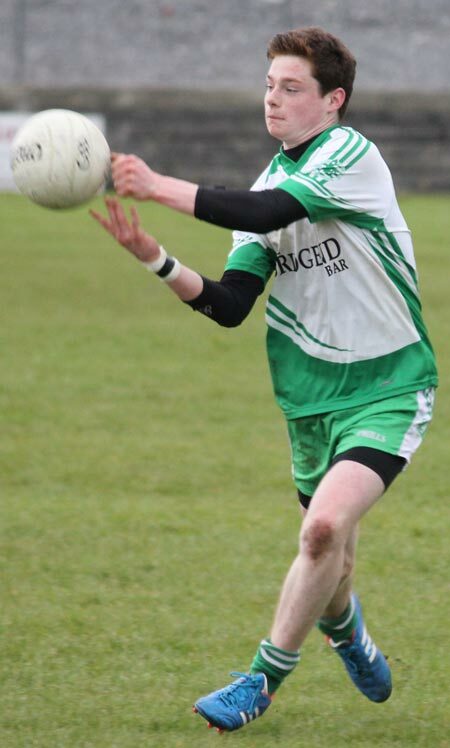 Calm, strong, measured and precise, he brought great composure and economy to Aodh Ruadh's attacking play. 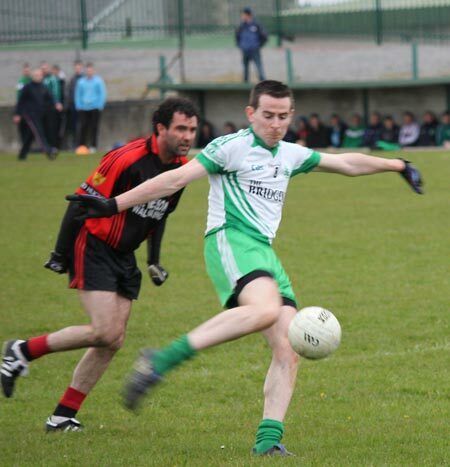 Not far behind him was Kerry Ryan who roamed the field to great effect, stitching play together astutely and his scores coming at good times for the homesters. 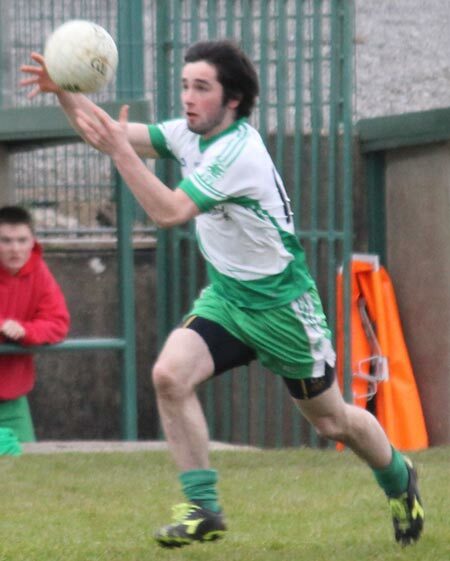 There were also noteworthy displays from James O'Donnell who had a great game in the air, Niall Harley and Anthony Boyle who racked up the miles at half back and half forward respectively, and Peter Boyle who was called upon to make a number of smart stops. Midfielder Martin Bonner was the pick of the Red Hugh's. He dominated around the centre and his three points from play were all well taken. 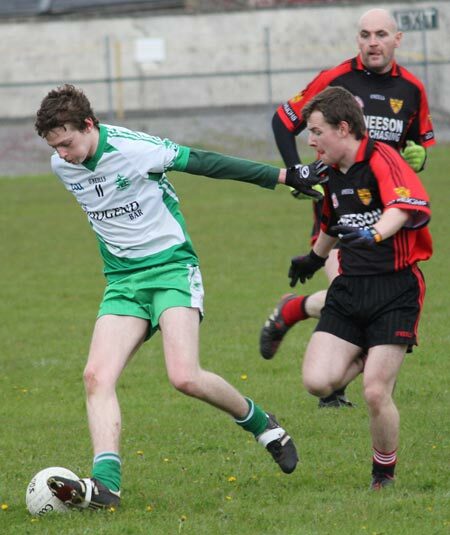 Full forward Damian Browne was also a lively threat. 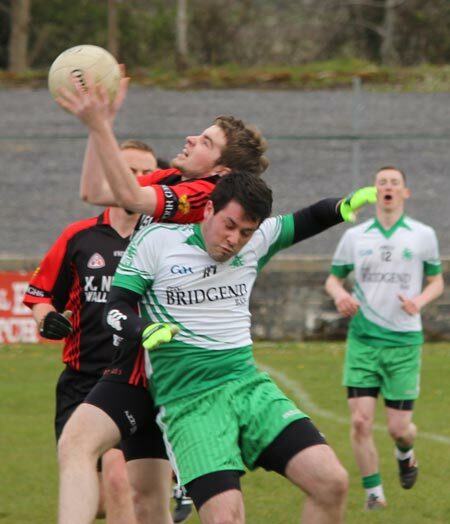 The two points earned by this win were much needed by Ballyshannon after two successive losses and they will go to sustain the Ernesiders' promotion ambitions. Red Hugh's meanwhile sit on four points after six games, a situation John Lynch will be eager to remedy sooner rather than later. Substitutes: Diarmaid McInerney for Stephen Ward: 13 minutes; Ryan Patton for Johnny Gallagher: 49 minutes; Kieran Keown for Michael 'Sticky' Ward: 53 minutes. Yellow cards: Kerry Ryan: 36 minutes; Ryan Granaghan: 37 minutes. Frees conceded: First half - 12; Second half - 15; Total - 27. 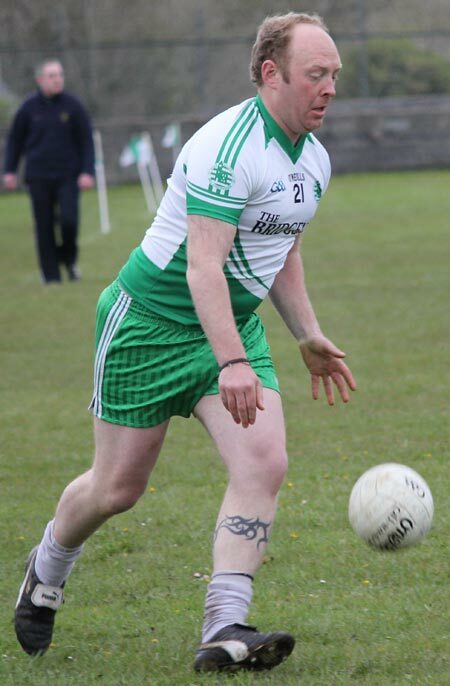 Luke Kelly; Thomas McMenamin, Sean Sweeney, Aaron Bradley; Peadar McGlinchey, Gary Kelly, Karol Gallen (0-1, 45); Eugene Bonner (0-1), Martin Bonner (0-3); Kevin Melaugh (0-1), Colm Melaugh, Shane Gallagher; Calvin Bradley, Damian Browne (0-4, 3f), PJ Gallagher. Yellow cards: Gary Kelly: 15 minutes; Peadar McGlinchey: 36 minutes; Shane Gallagher: 39 minutes. Frees conceded: First half - 8; Second half - 12; Total - 20.